Well, technically my wife was busy, and I was flailing around trying to help her. 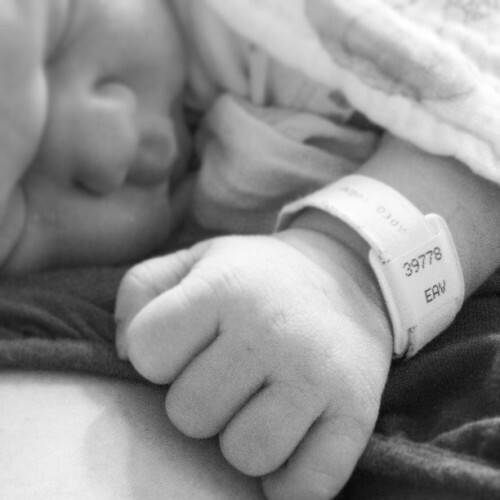 With two in the house now, our free time has declined somewhat. Anyway, I have not touched a miniature for weeks, and have not been keeping up with blogs either. It seems like plenty of good things have been going on in the ol'blogosphere, but I have not caught up with it all yet. I did manage to read almost all of the Grant Morrison JLA books, and the second Carson Napier on Venus book, and have just started the final Wheel of Time book... so plenty more to discuss once I get into the swing of things again. It might be a while though! Last week I finished reading the Monster Manual II (MMII), published in the far off year of 1983, when I was too young to read this. 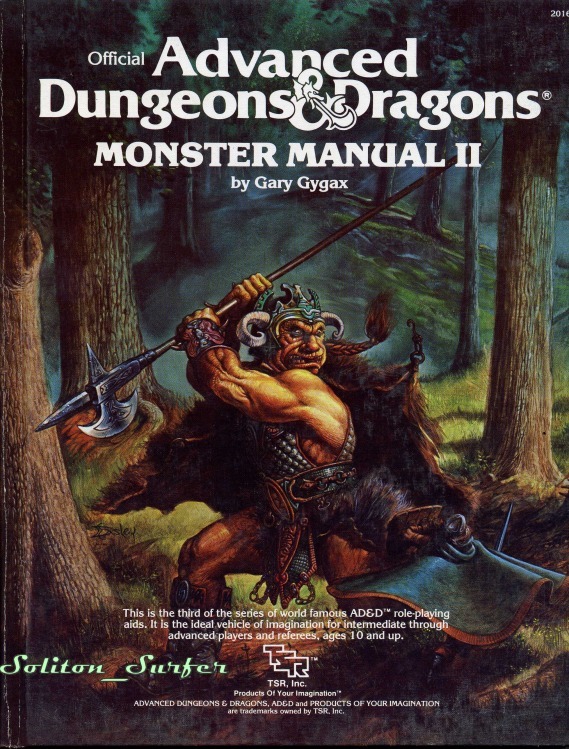 Most of the thoughts I had of II are the same as of the original Monster Manual, although I will say that the art is over all much better in MMII (and apparently they had more than $5 to pay for the cover art this time around). However, the selection of monsters feels pretty weak to me. If you are not in to planar adventures, then about 60% of the content is cut, and most of what is left is strange variations of previous monsters. I did like the Derro (even though they are basically evil dwarves), the cloaker, and the rules for animal skeletons, as all of these are things which could feature in a more low powered game. Even better, Reaper has some great Derro figures, sculpted by Derek Schubert. These certainly need to feature in a future campaign (avert your eyes players!) There are also some now-classic monsters from the various adventures published prior to this book, including the Driders, which of course have become popular since then. (Reaper has some stand ins for those too). I just finished reading Pirates of Venus, by Edgar Rice Burroughs. Published in 1934, it is the story of Carson Napier, a wealthy young adventurer, who builds a space ship to travel to Mars. As it happens, he goes to Venus instead, and there encounters a race of humanity not too unlike our own, and has various adventures, while trying to reach the object of his affection. After the Barsoom books, much of this seems familiar; however, the unusual and novel aspects of Venus are interesting, and Carson is quite a bit better than John Carter. Figures wise, most of the stuff used for Barsoom games could translate over to Venus, although some care would have to be taken with the weaponry, and the women wear a specific garment that may be difficult to find in the usual places. (possibly Roman or Greek women?) The Venusian ships would be interesting to see as well, as they are nuclear powered pre-dreadnaught cruisers which can none the less be carried by boarding action. I got the book from the library (as I do with most books), and not only was it first edition, but it still had the little cards in the back from the pre-barcode lending era. It was pretty interesting to see how frequently (or not) this book was read over the nearly 80 years that it has been in the possession of the library. In another interesting tidbit, a Carson of Venus movie is in the offing... so provided that comes to fruition, and is popular, there could be some more interest in this setting. The next book in the series is Lost on Venus, which I have on order for an inter-library loan, as the local library system does not have it. Looking forward to it, since this one ends on a cliff hanger! Here is a d100 table of Secrets as part of the d1000 inquisitor attributes project. Go back and read that post if you want to know what this is about. In this list I am trying to get at the secret parts of an Inquisitor, either physical, historical, or mental. It took me longer to come up with this list, as it was harder for me to think of than equipment or weapons, both of which have historically been more exciting for me. Let me know what you think, or if you have any more ideas.